So, you want to be a script writer, but you don’t know where to start. Here is some advice on how to get started. First piece of advice, get writing. Just like novels, scripts won’t write themselves. You need to set aside the time to put pen to paper and make it happen. You have the ideas, but they’re not going to come to life or be brought to the screen while they are locked in your head. You also need more than one script, so don’t convince yourself that success will come your way simply because you have that one script that is sure to catch the eye of a world class director. Sorry, it won’t. 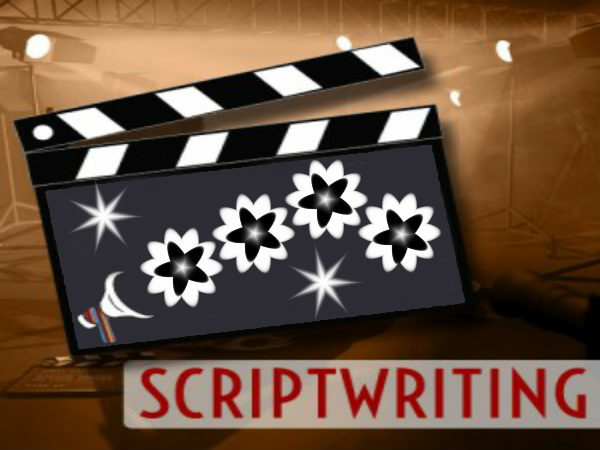 You need to create a profile of scripts in order to be taken seriously. Agents are more likely to take notice if you go to them with five or six great scripts than to approach them with just one. You have to prove your worth and that you understand how script structure works before any industry professionals will come knocking on your door. Besides, as good as you think your script is…it probably isn’t. You need to know what the industry wants and tailor it to meet with their needs. So, how do you find out what they are looking for? Read, read and read. Get hold of other people’s scripts and read through them. Pick out a number of scripts that have been made into films and take note of their similarities. Believe it or not, a romantic comedy often has the same structure as a gothic horror or sci-fi script. Both have a hero’s journey and a series of conflicts to resolve before the protagonist can attain their ultimate goal, be it finding the love of their life or simply surviving a horrific ordeal. Also, read scripts that are not likely to ever be filmed. You can learn just as much from them as you can from the select few that are undertaken. You will see the mistakes that prevent their scripts from gaining acceptance and it may make you realise a number of faults with your own. Keep in mind, no one wants to write a bad script. The script you read may not be all that good, but they will have some merit which you can take on board. At the very least, you can understand the layout of a script and the style of format by assessing how it looks on the page. It may not seem significant, but the very presentation of the words matter. The font should be new courier and the size should be 12. Use page breaks and make sure the spelling and spacing is correct. A jumbled, incomprehensible script will not impress an agent and may not even be read simply because you did take the time or care to make it presentable. If you couldn’t be bothered, why should they? Below are some example sites for scripts. Posted on January 2, 2016, in Uncategorized. Bookmark the permalink. Leave a comment.